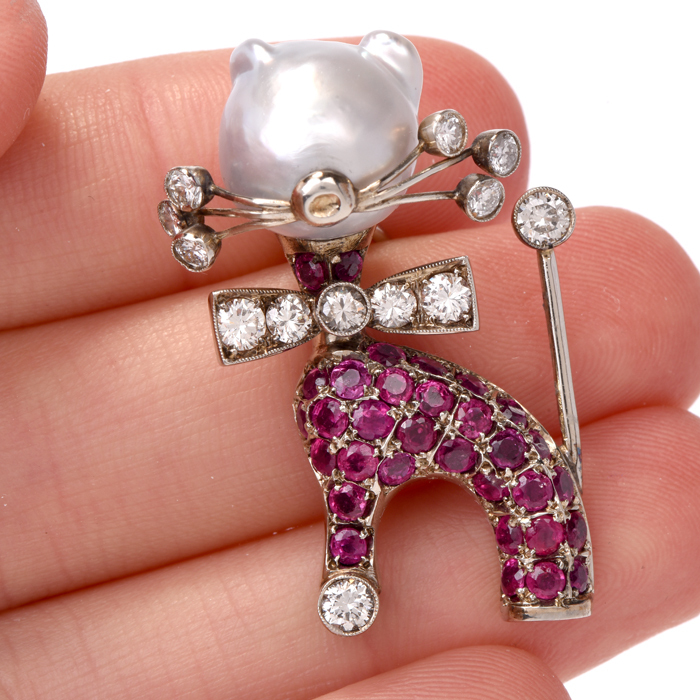 The key to dating antique or estate and vintage brooches and pins is to look at the clasp and hinge on the back of the pin or brooch. 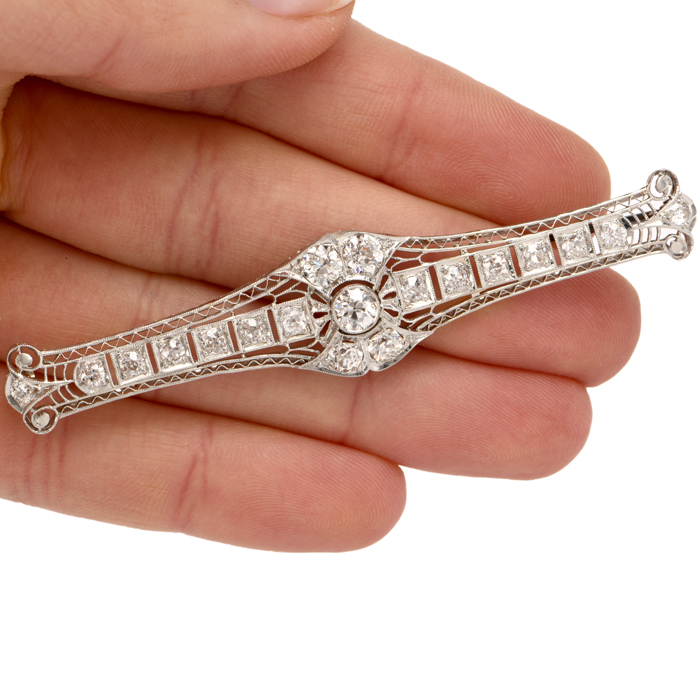 Antique jewelry is over 100 years old and pins and brooches from the Victorian period (from 1837 -1901) feature T-bar pins, C-clasps, and trombone clasps. 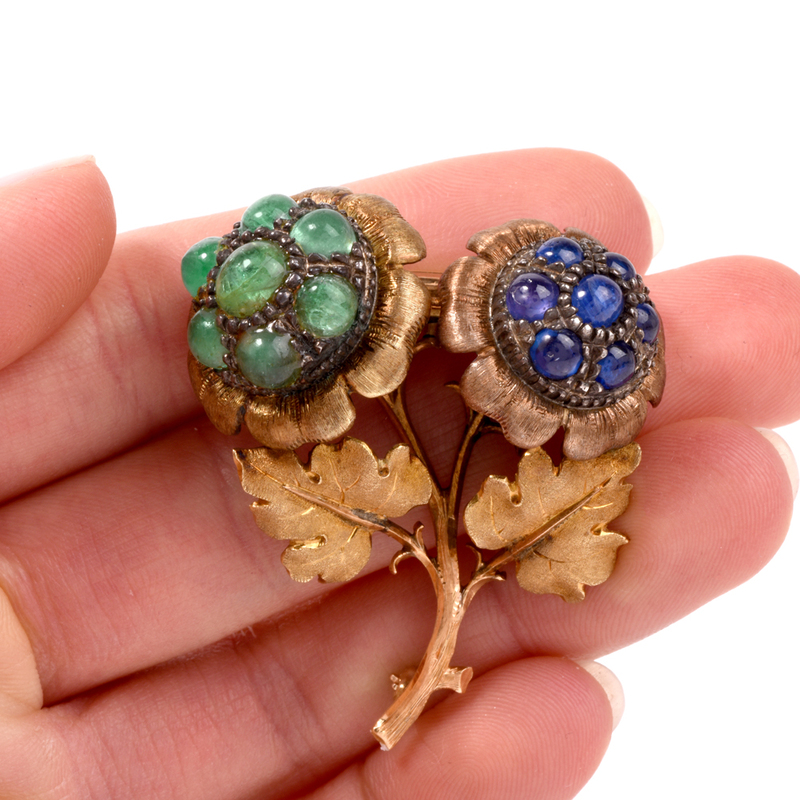 Safety clasps were not invented until around 1910, during the Arts and Crafts period, and are essentially C-clasps with a closure. 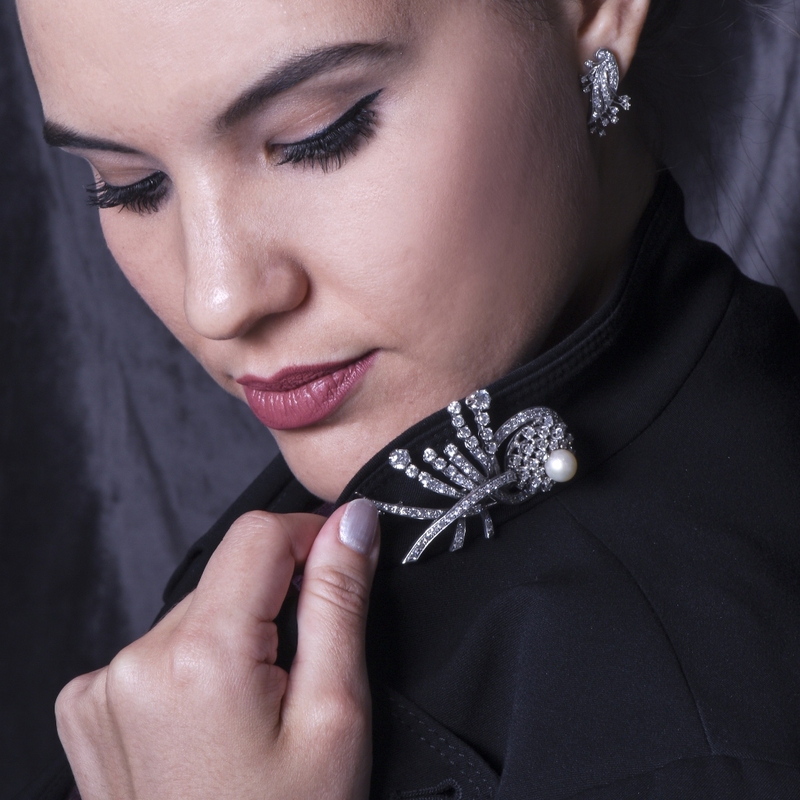 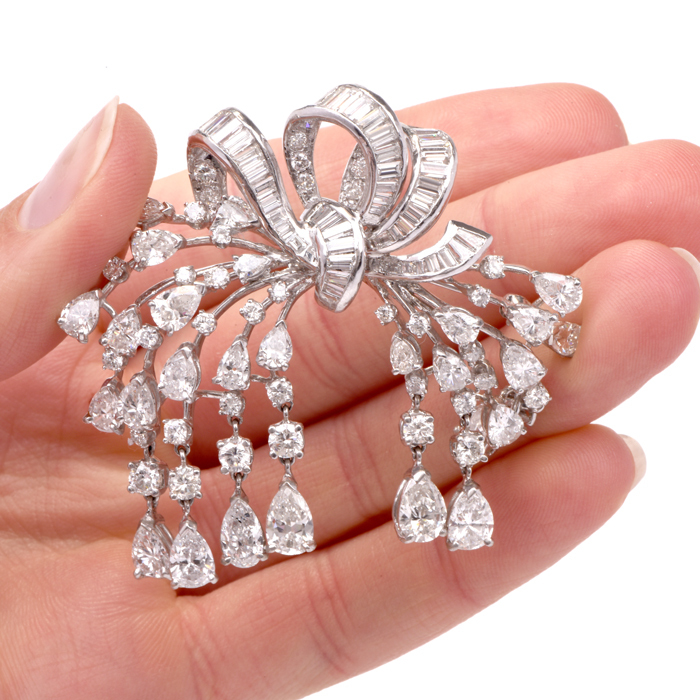 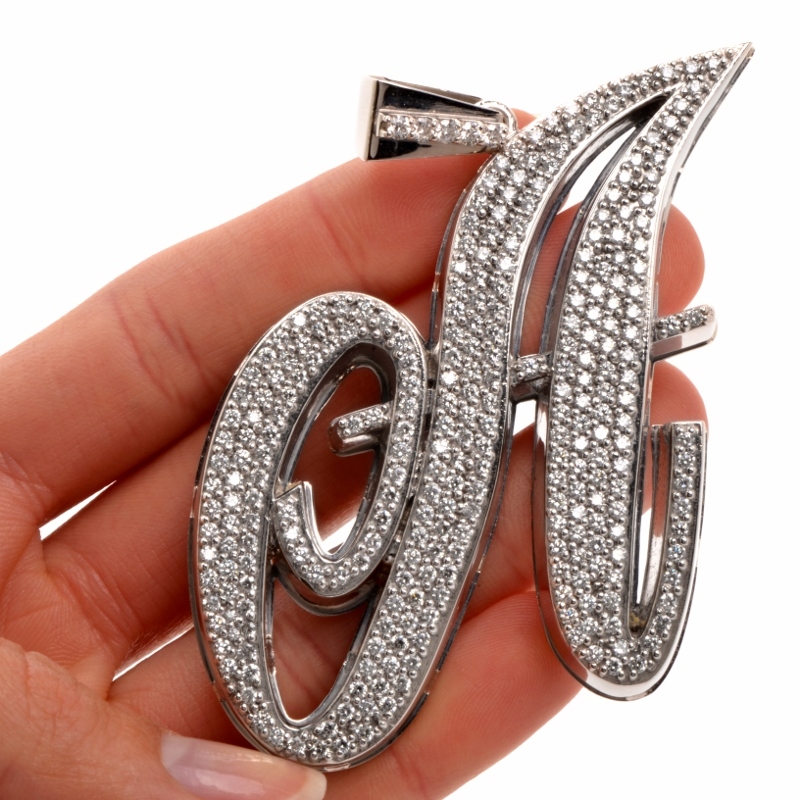 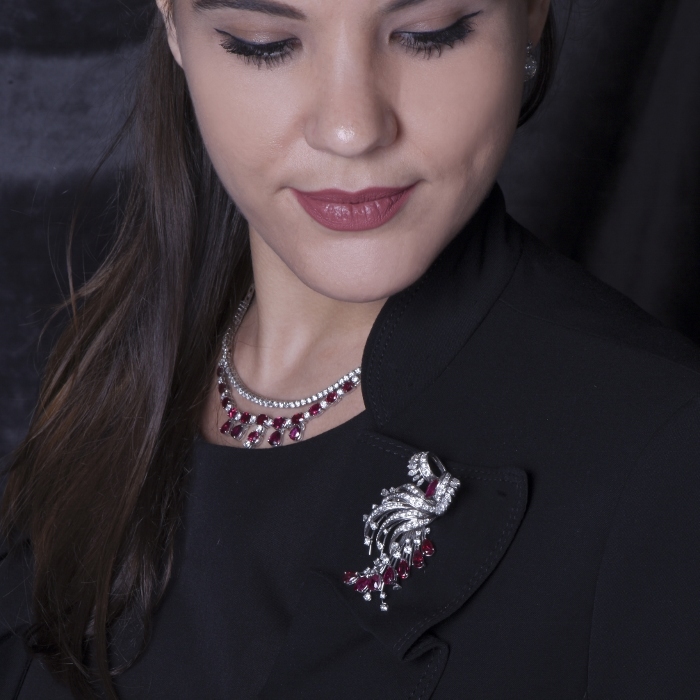 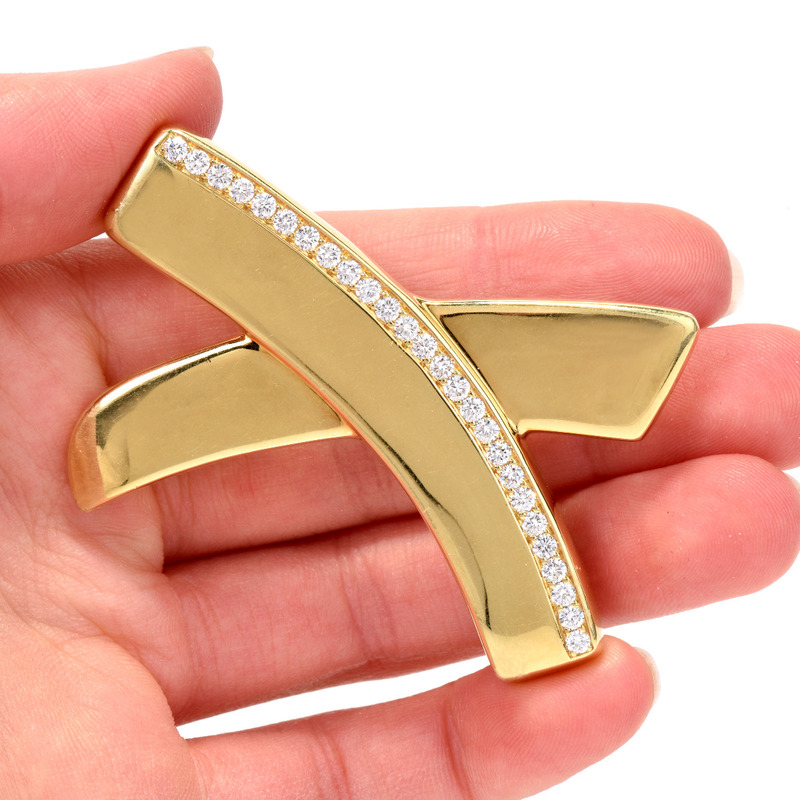 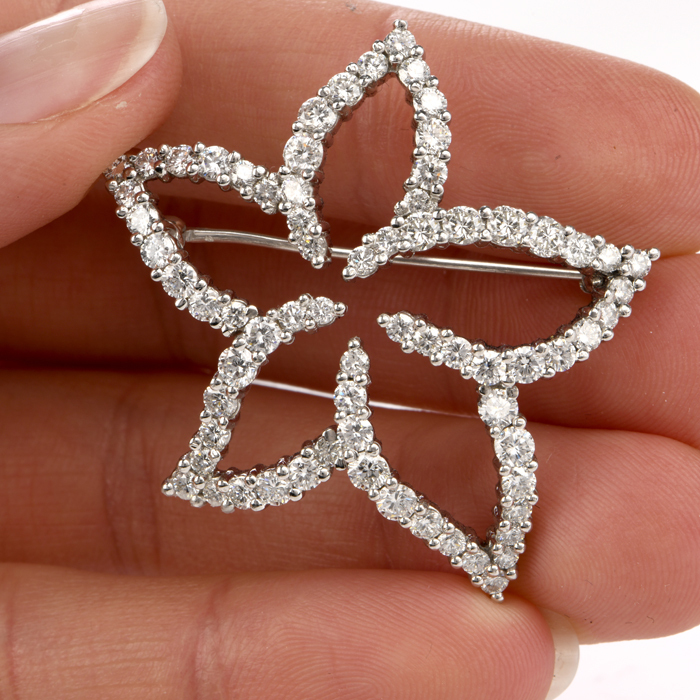 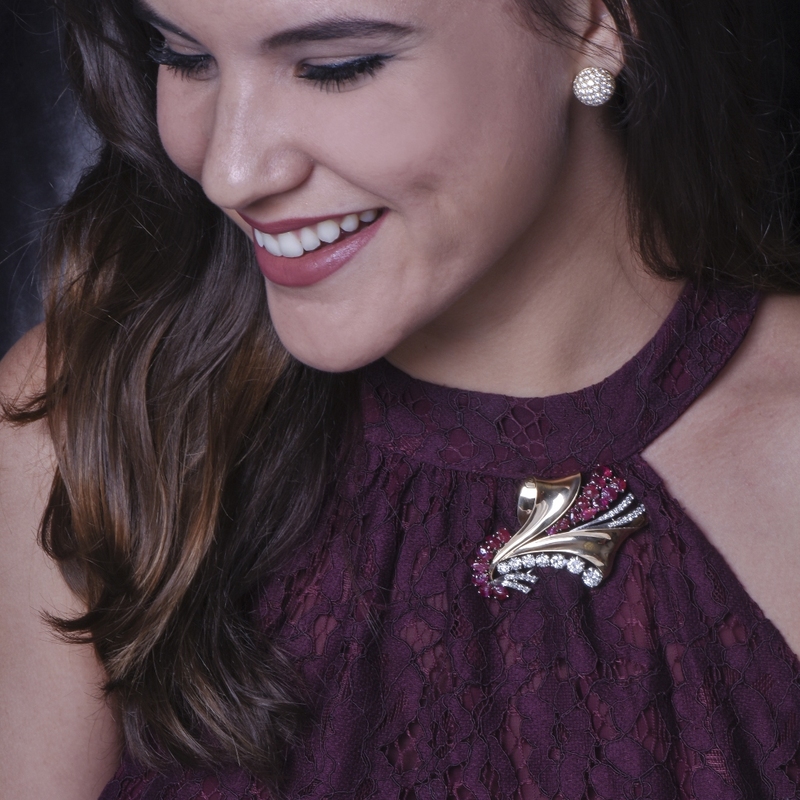 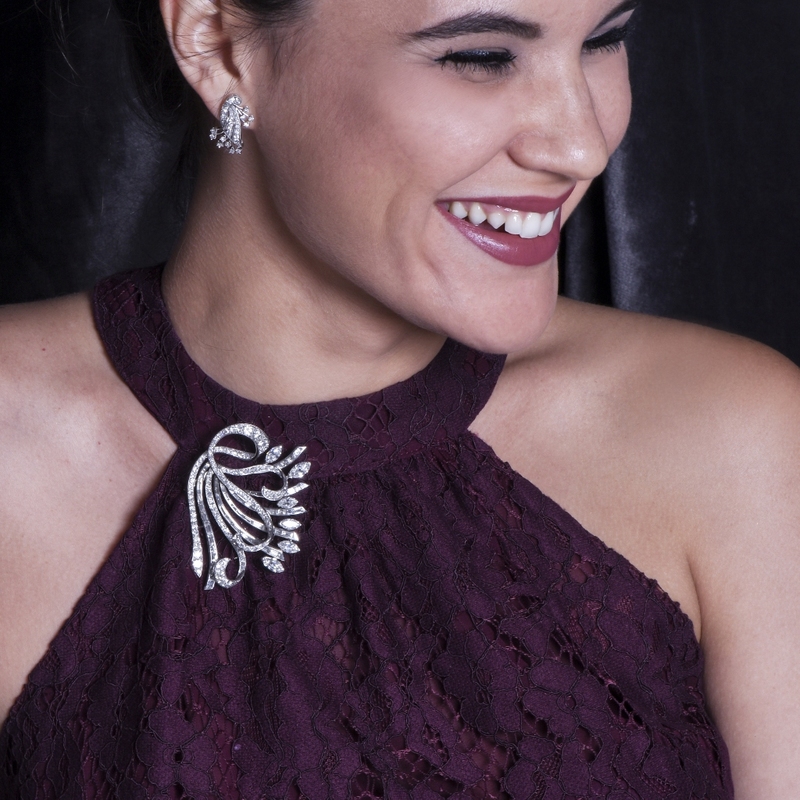 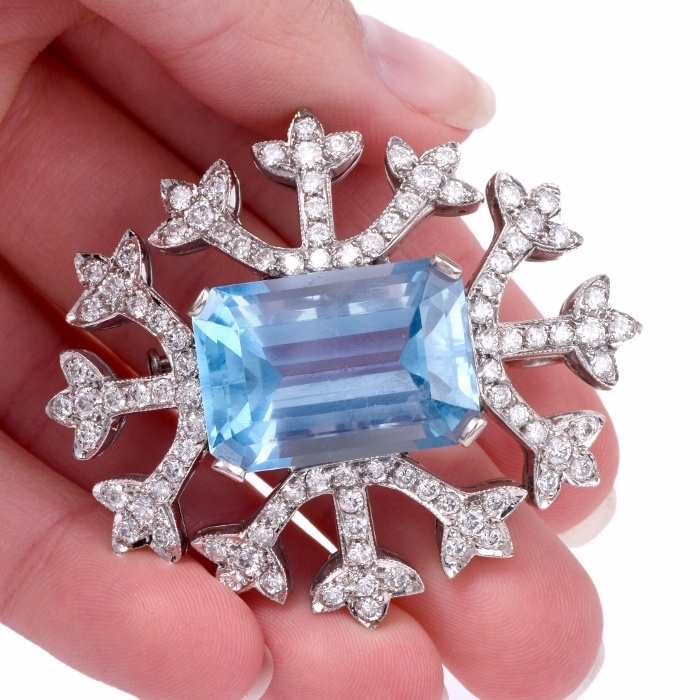 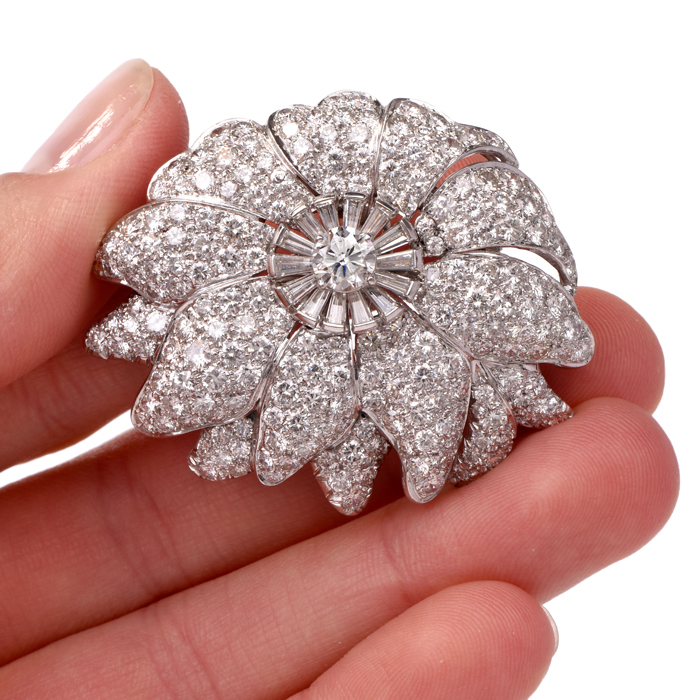 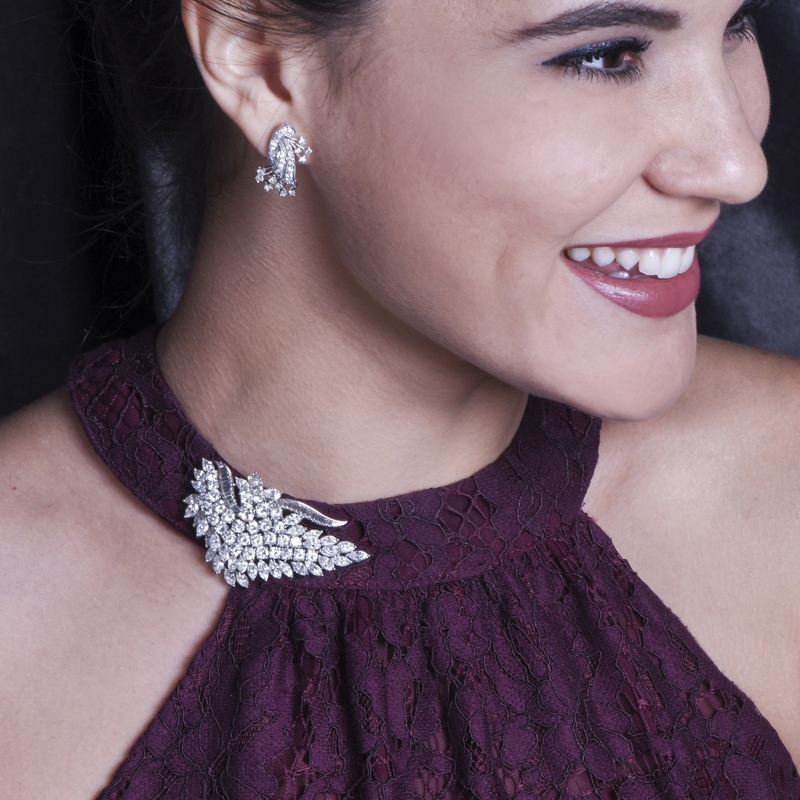 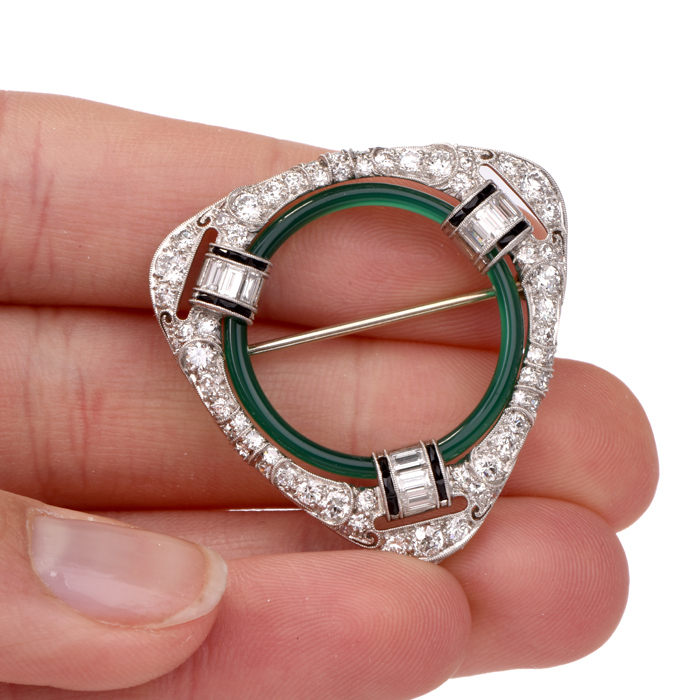 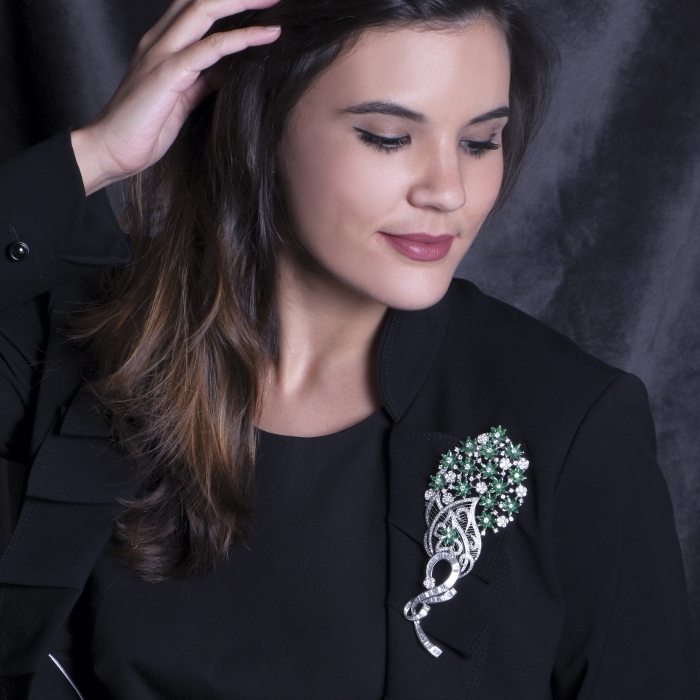 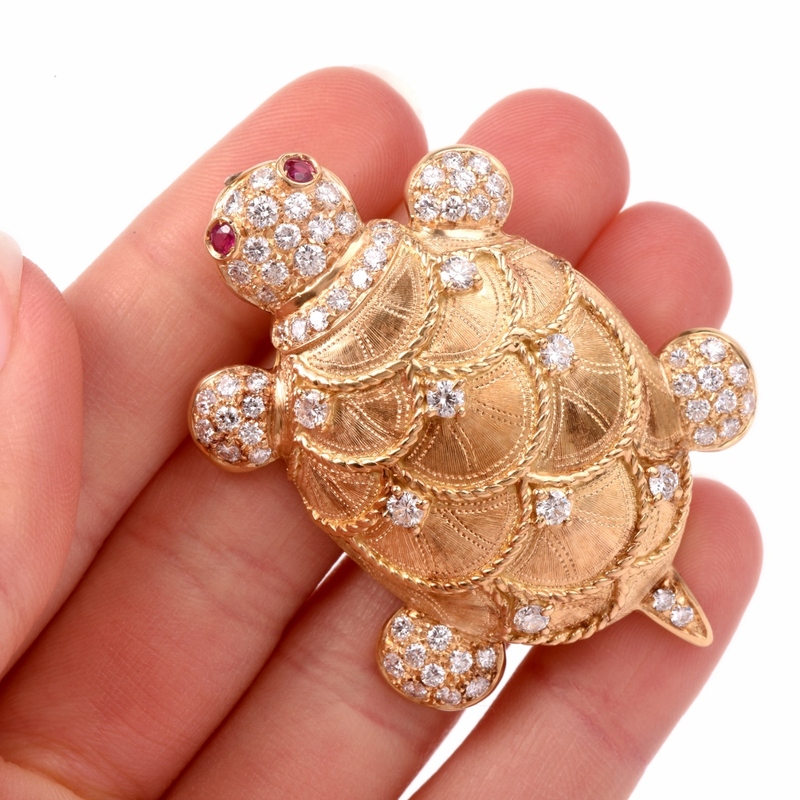 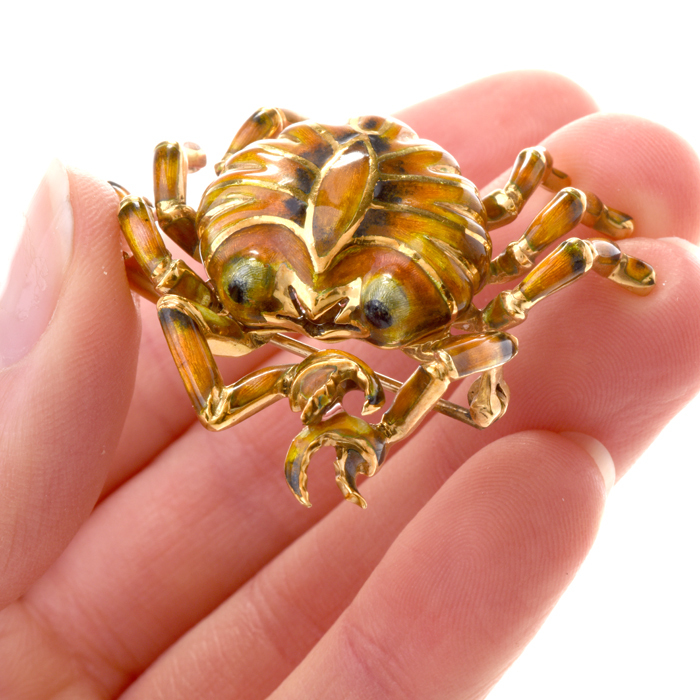 At Dover Jewelry in Miami Florida, we always recommend that you view the back clasp and hinge before purchasing antique, estate or vintage pins and brooches online. 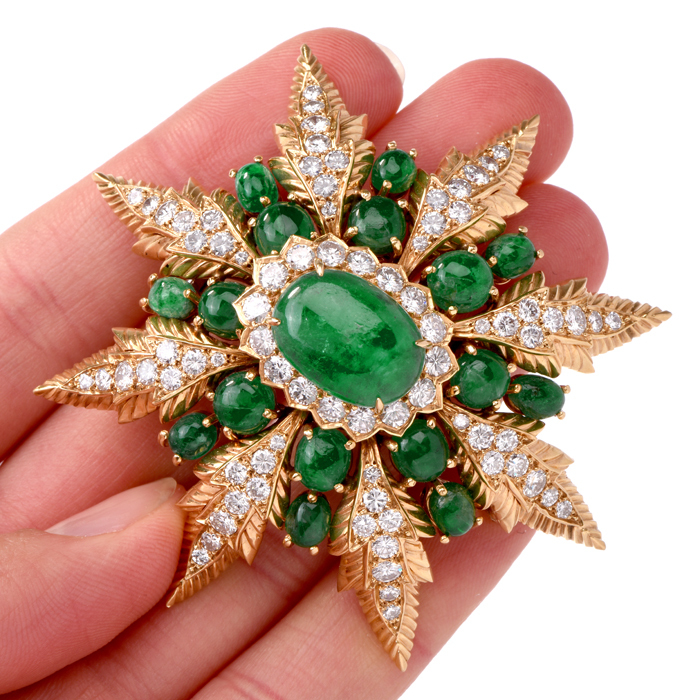 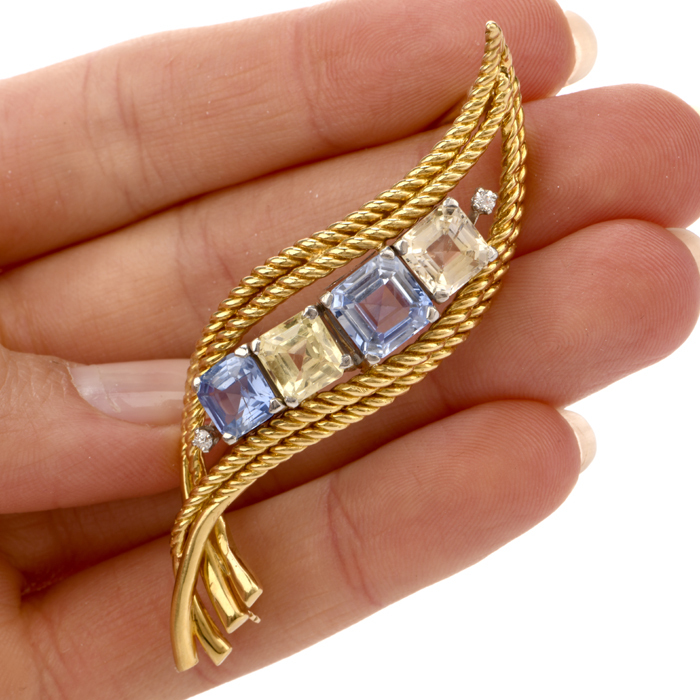 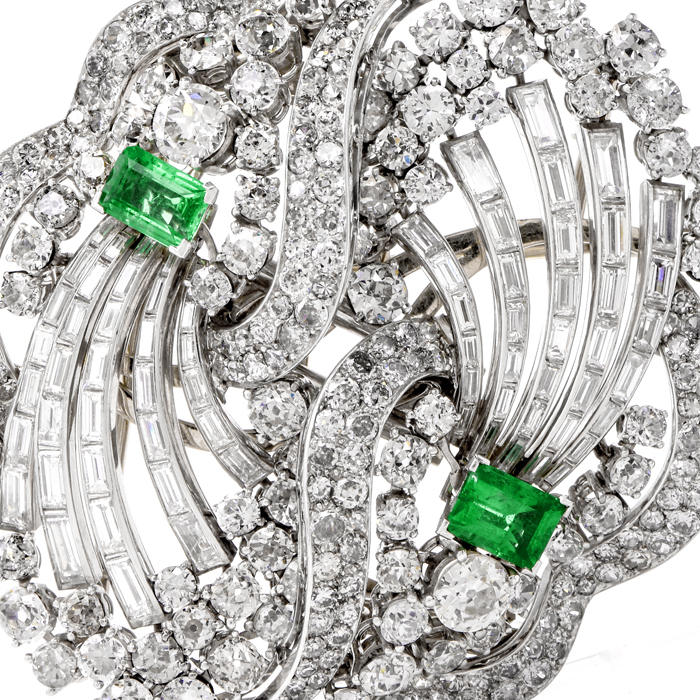 You’ll find that many of our unique antique and vintage pins and brooches feature diamonds and precious gemstones such as emerald, ruby, sapphire and topaz stones. 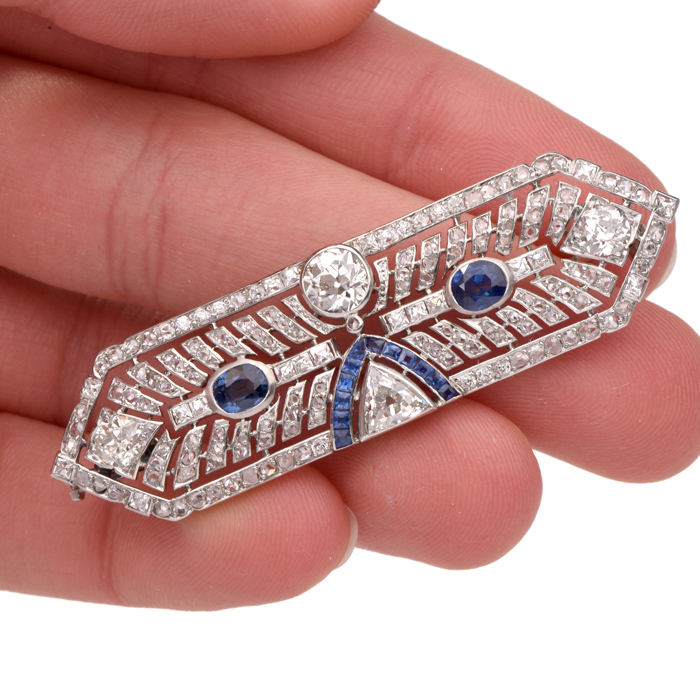 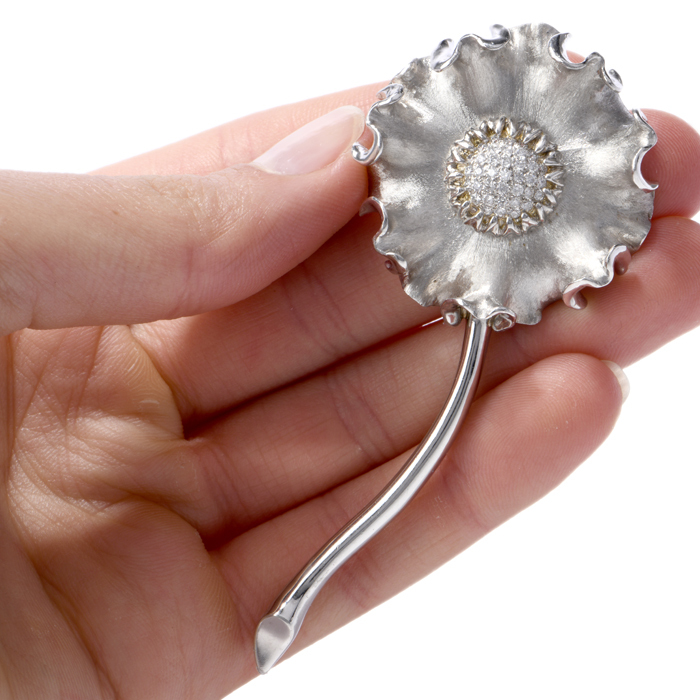 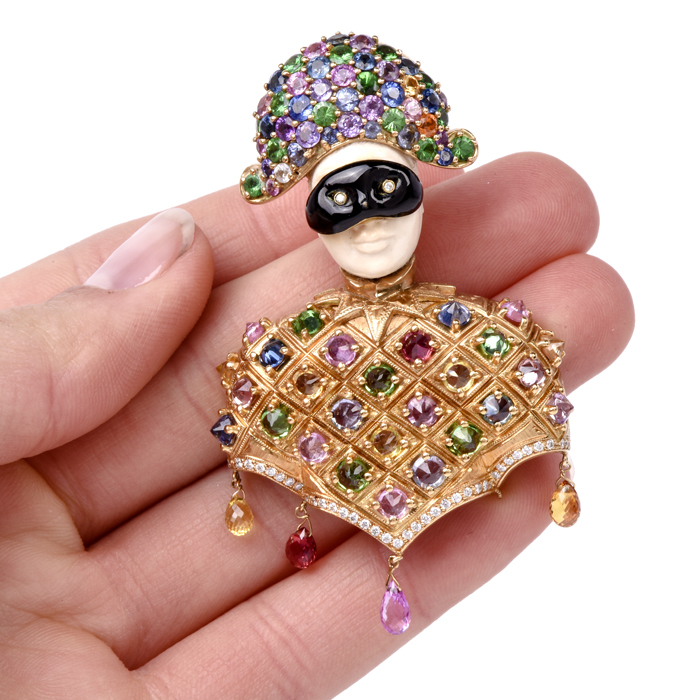 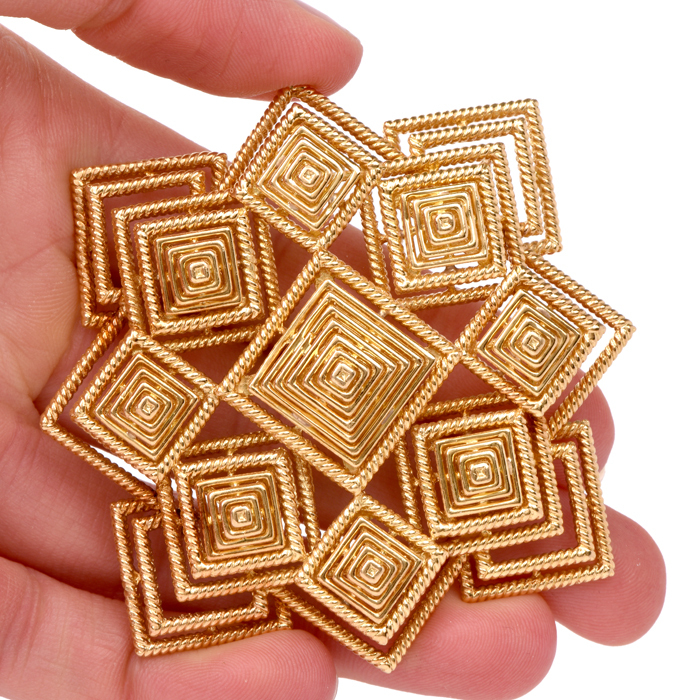 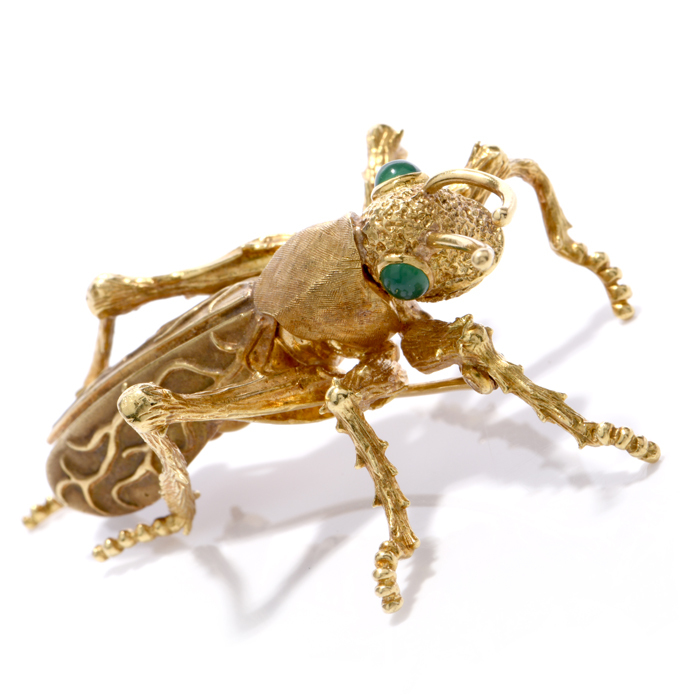 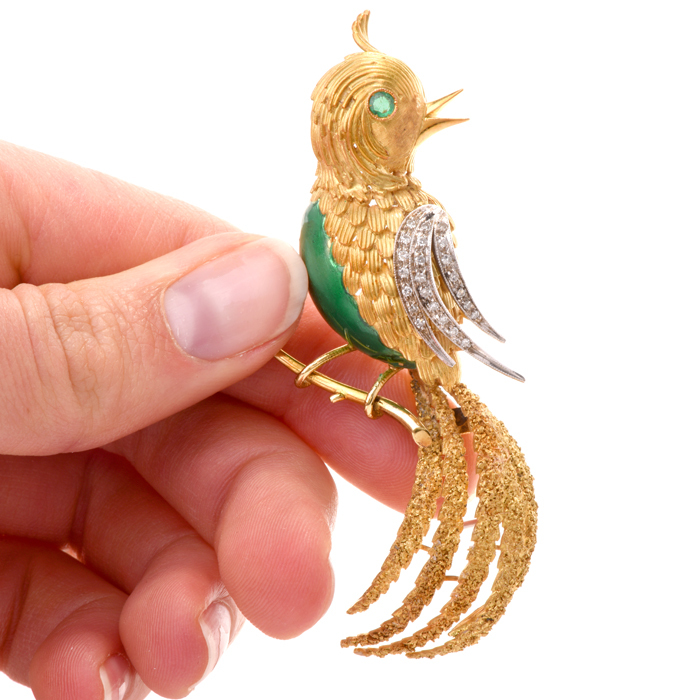 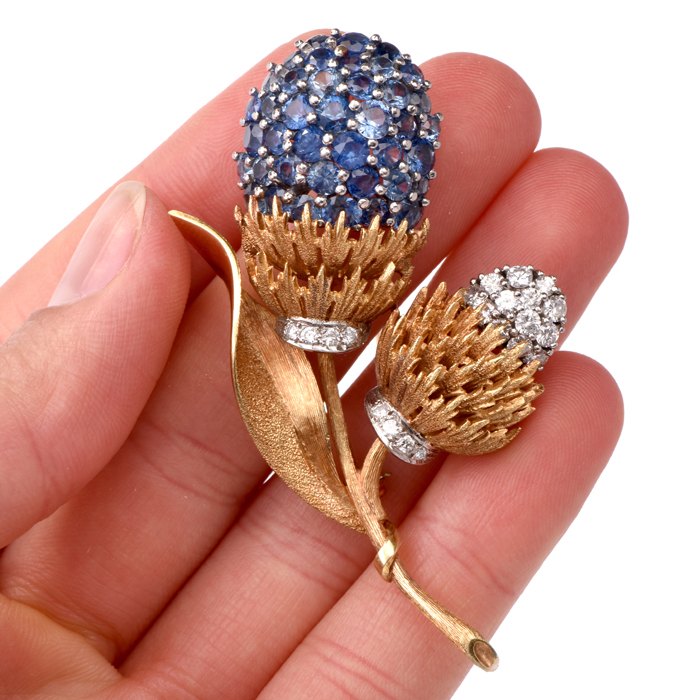 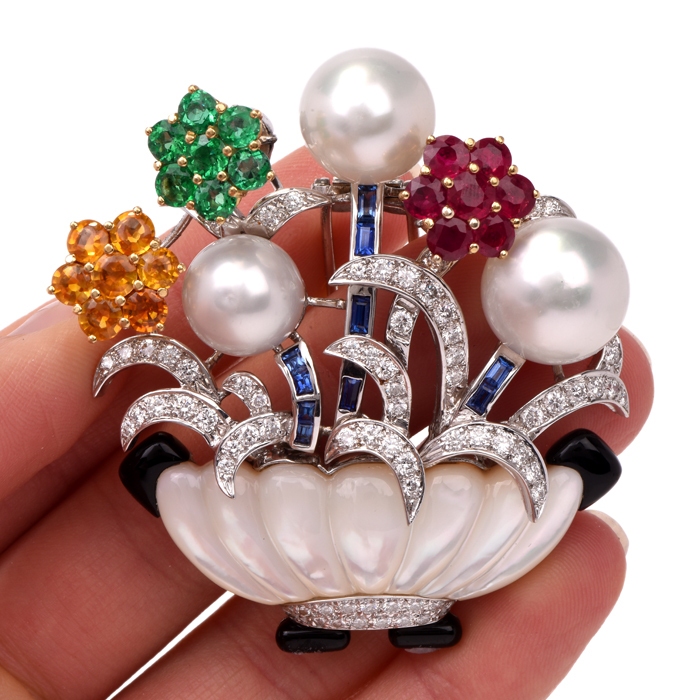 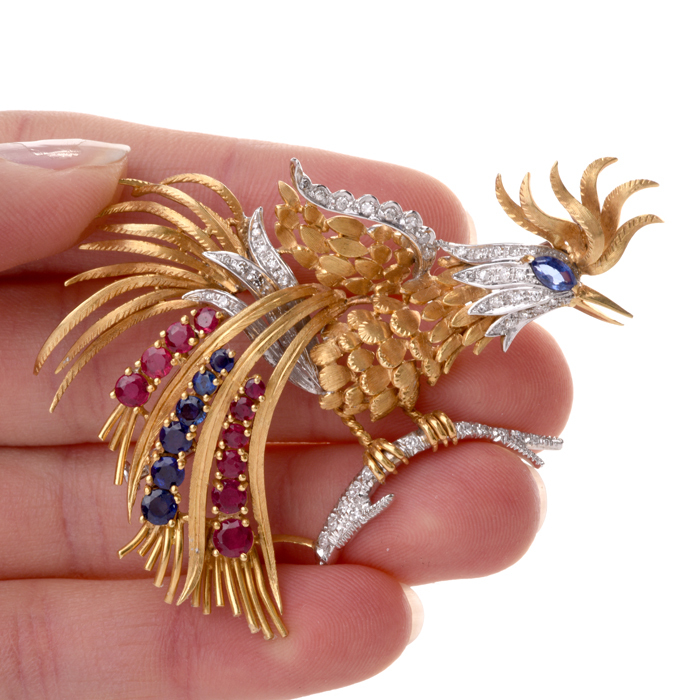 Discover stunning platinum and gold antique and estate pins, brooches and pendants that showcase the artistry of renowned jewelry designers like Garavelli, Mark Patterson, Elizabeth Locke, Tiffany & Co, and Cartier. 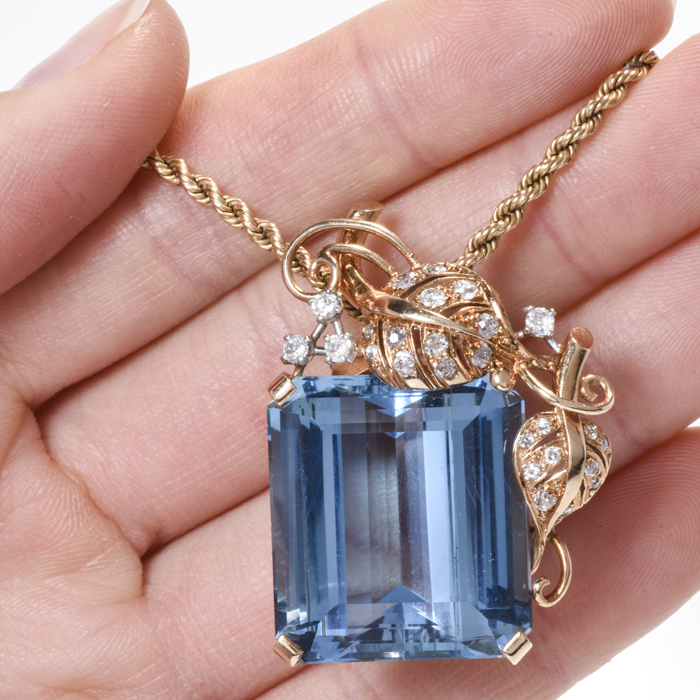 The value and craftsmanship is beyond compare. 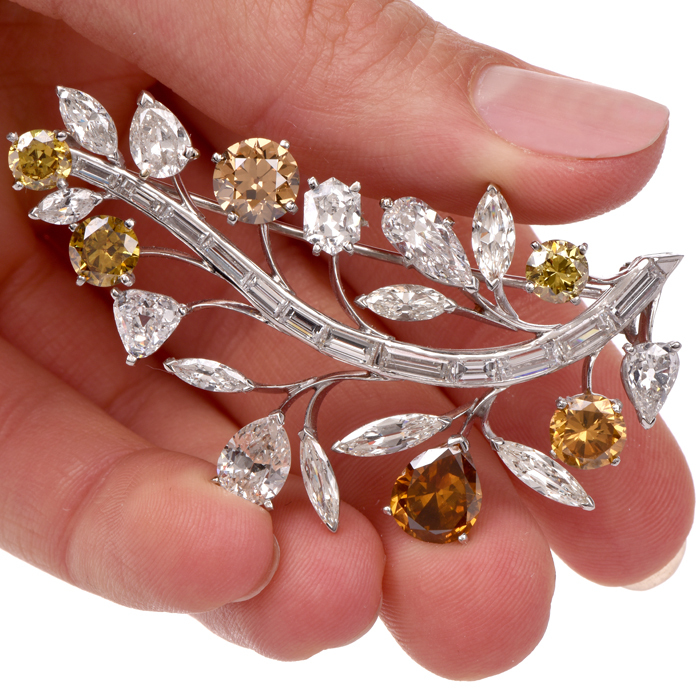 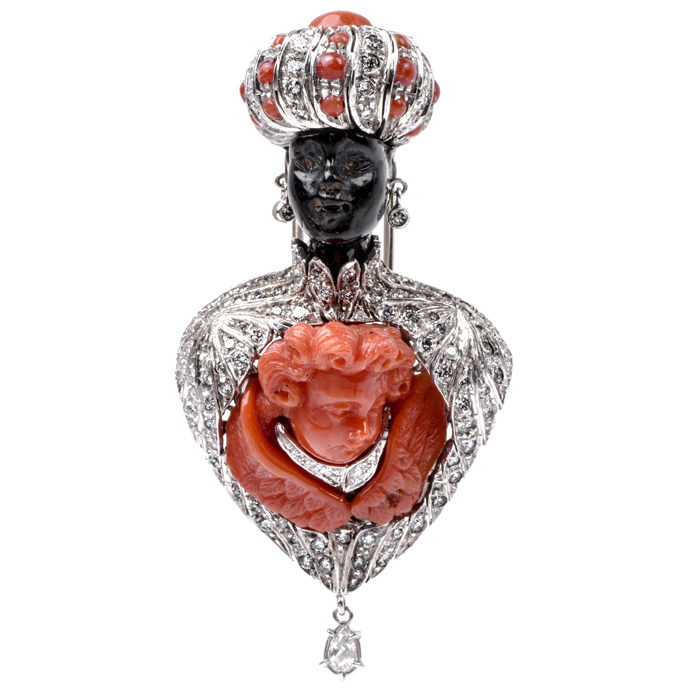 Dover Jewelry inspects, repairs and appraises every antique, estate and vintage piece of jewelry we sell. 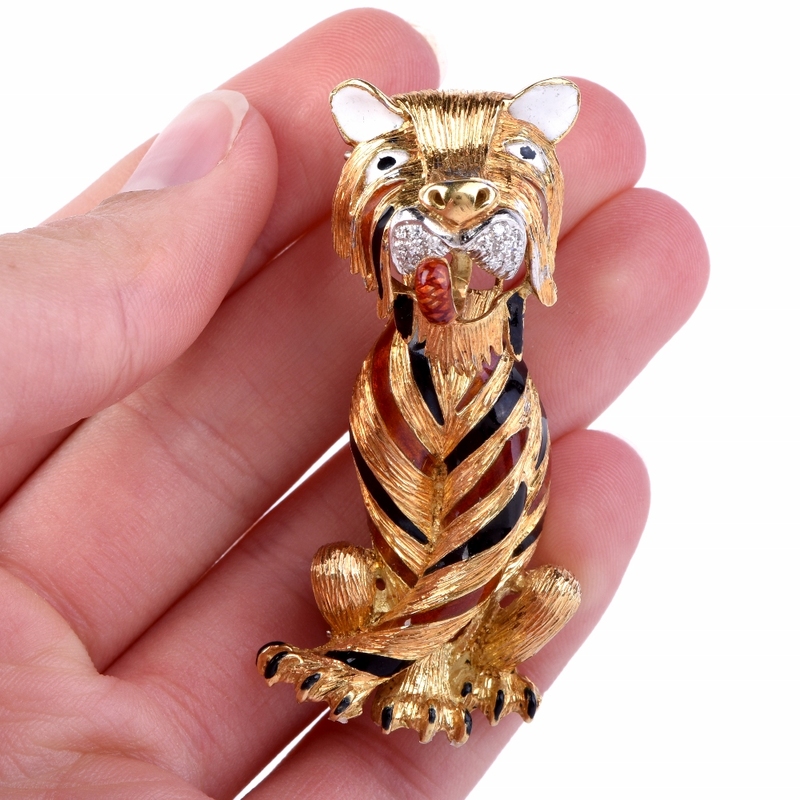 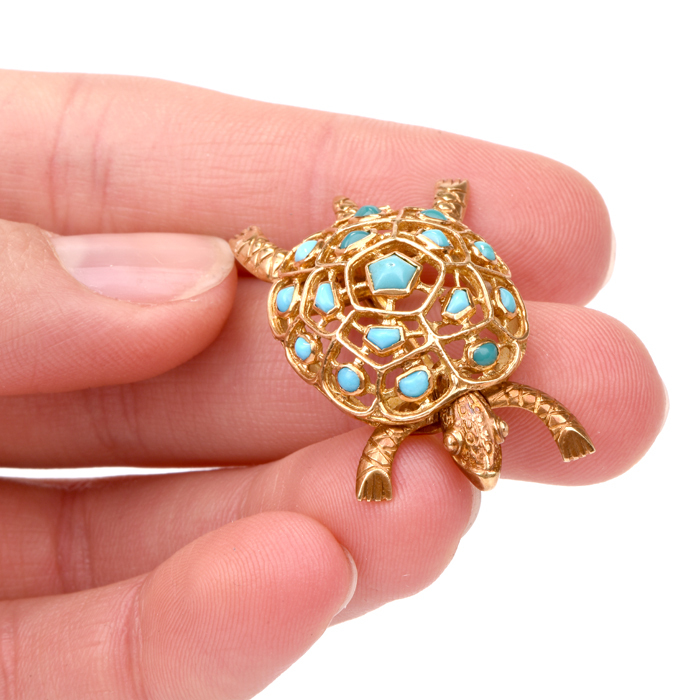 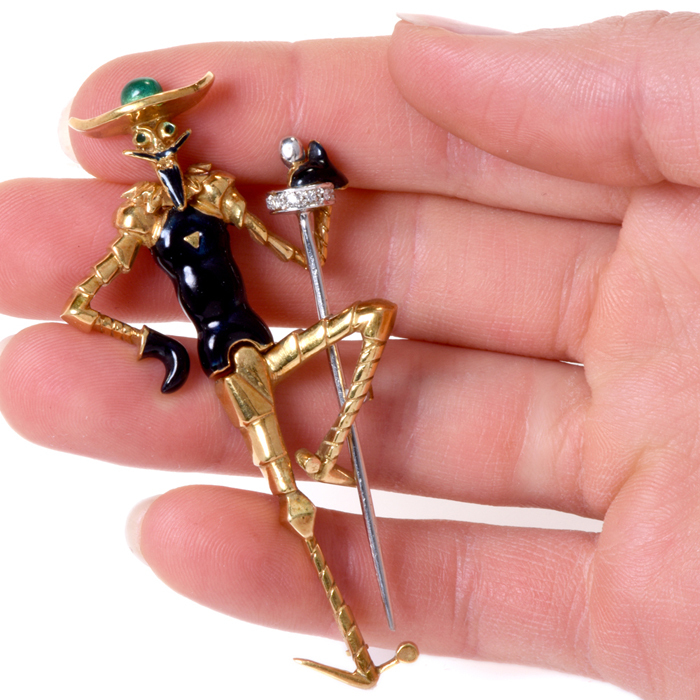 Contact us if you have any questions or need help purchasing antique pins, estate brooches, or vintage pendants from our extensive online collection. 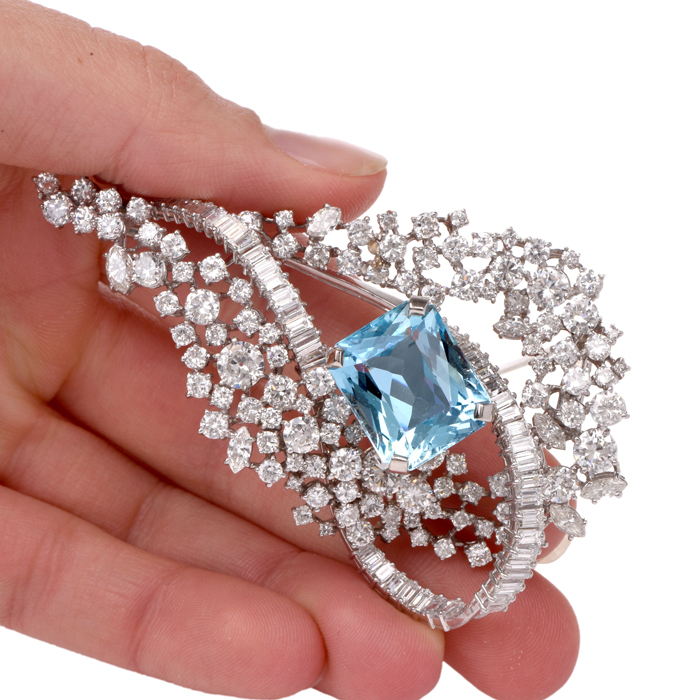 Please call our antique jewelry experts anytime at 1-877-777-6111 or send us an email.